CLOSEOUTS. 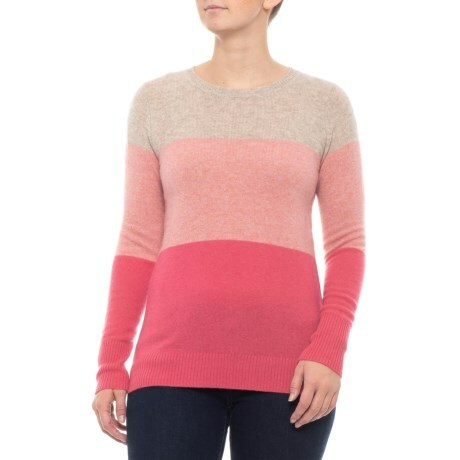 Style-up in the luxurious softness and warmth of 100% cashmere with Nanette Leporeand#39;s Colorblock shirt. Available Colors: TRUE FLINT HEATHER/DUSTY BLUE/TRUE BLUE HEATHER, TAUPE FROST HEATHER/SUNKIST CORAL/ROSE. Sizes: S, M, L, XL.